Did you know you can control Windows Command Prompt without using mouse? You can click at anywhere you want to select text in Command Prompt. But if you want to just use keyboard, here are the shortcuts that will keep you covered. Windows Command Prompt provides various shortcuts for selecting text. You can select just a character, word, line or even whole screen at once. Extend current selection by one line up. The selection extends to the same position in the previous line as the position of the insertion point in the current line. After selecting text, you need to know how to manipulate it. Following commands will help you quickly copy, paste and delete your selections. You can use up and down keys to select any command and then hit Enter to execute command. 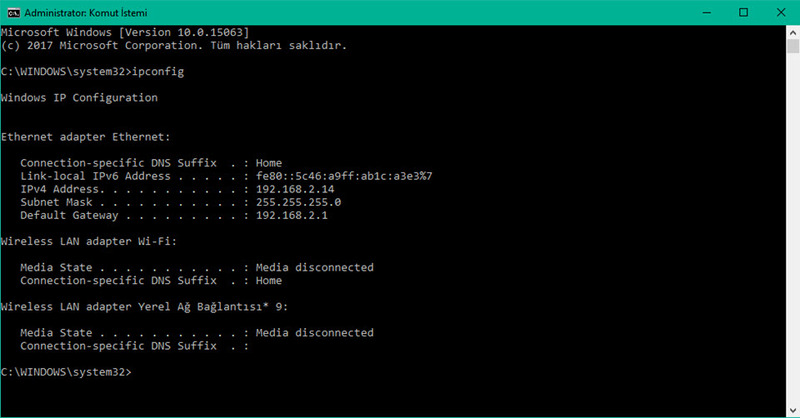 Command Line is still essential and powerful tool of Windows 10 and Microsoft says it's not going anywhere in a near future. What is your favorite Command Line hotkey? Do you have any useful tips for program? Let other users know below.